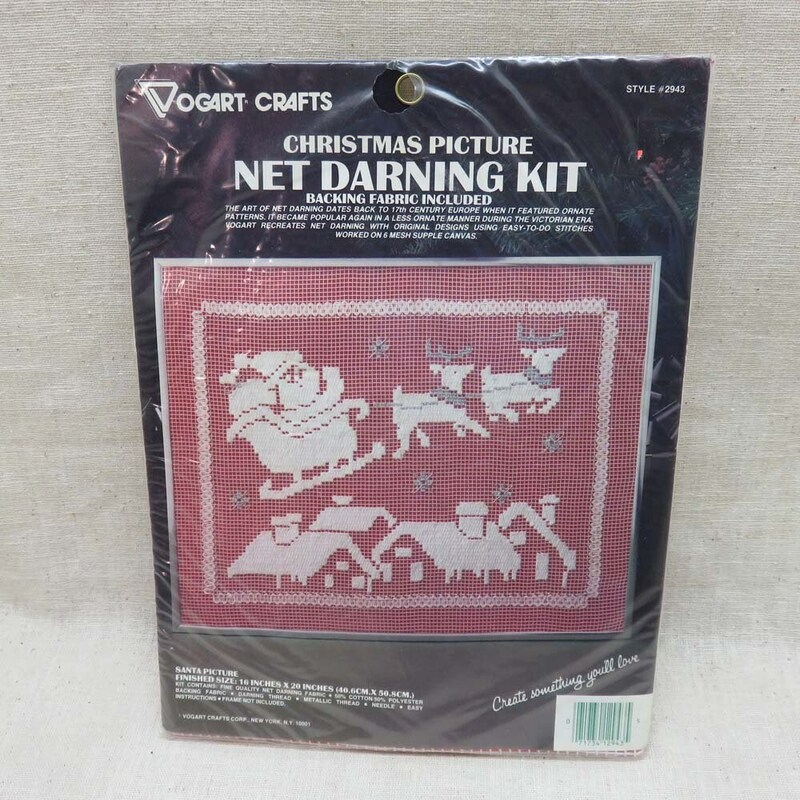 This adorable kit makes one picture of Santa Claus and his reindeer using lace net darning technique. The kit is new, never opened from Vogart Crafts and dates to the 1970s. It includes pattern fabric, backing fabric, thread, yarn, needle and complete instructions. The picture is of Santa in his sleigh flying over the rooftops on Christmas Eve. 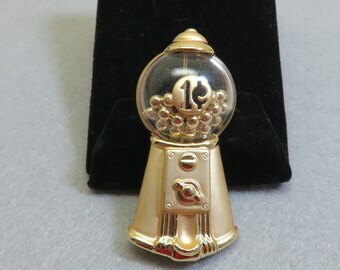 When completed, it will measure 16 by 20 inches.